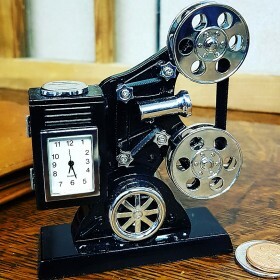 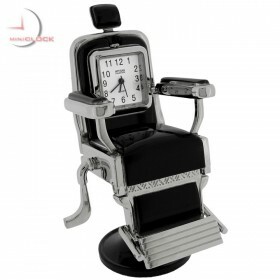 An excellent miniature rendition of a vintage classic barber Chair / Dentist Chair. 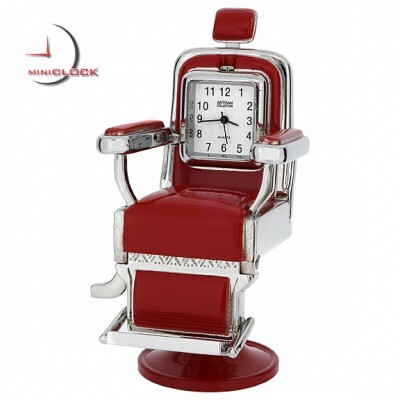 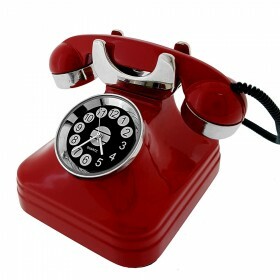 Featuring quality die cast metal construction and loads of great details such as red finish with silver accents, a handle that spins, adjustable foot rest and the chair will tilt back and forward! 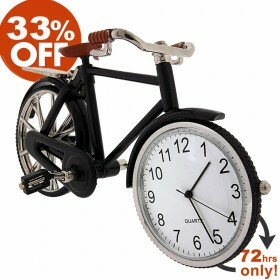 Included in the backrest is a reliable quartz movement clock with white dial and black markings. 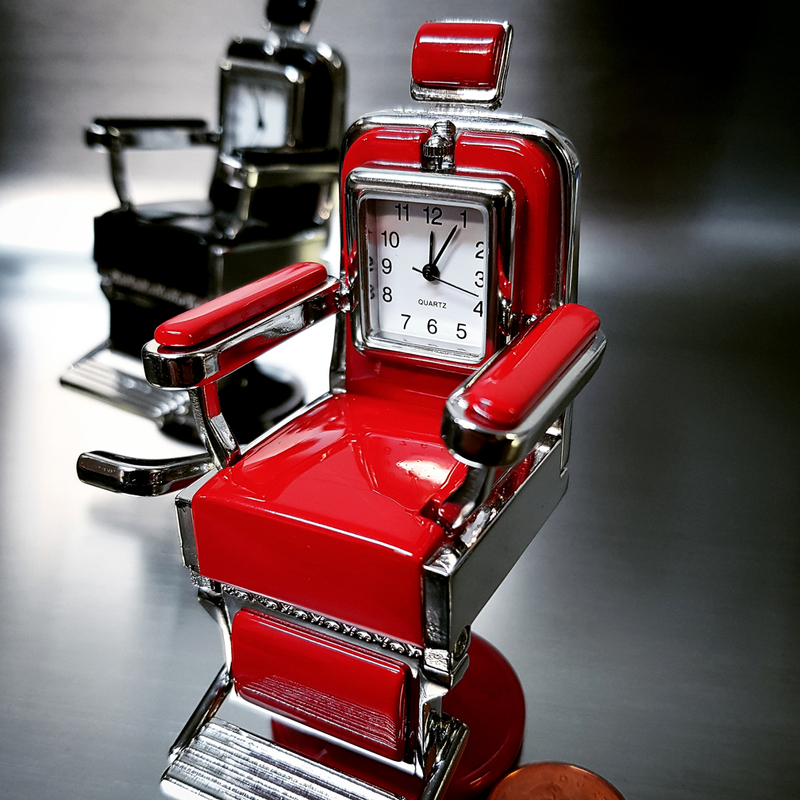 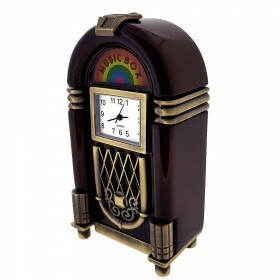 The perfect gift for any barber, hair stylist, dentist or minature collector!